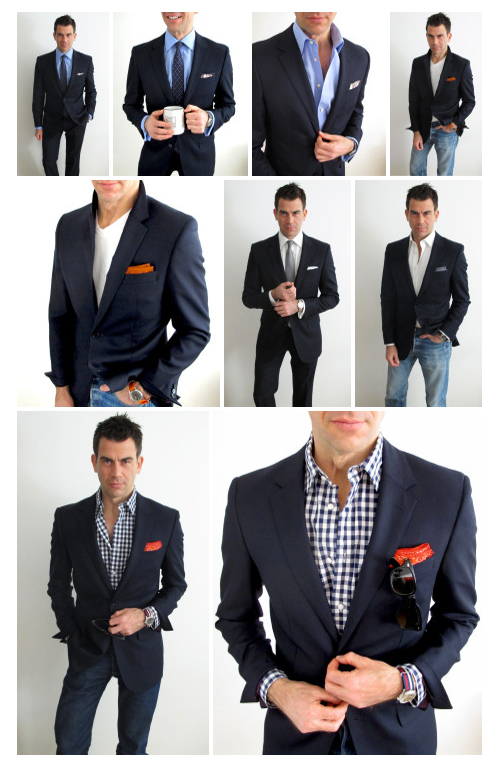 The navy suit is, by far, the most versatile suit that any man can own. Barring black tie affairs, it can be worn for any situation that asks for a suit: a job interview, day-to-day business, dress-casual, a night out, a wedding, a funeral or any situation where one wants to look like something. The top half can even be worn separately as a jacket – a stunt I pull regularly.